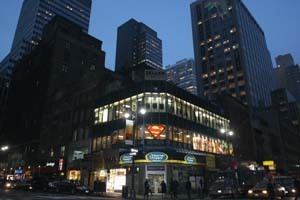 Midtown Comics first opened its doors in 1997 and has since become the leading comic book retailer in the U.S. with an online store as well as three landmark locations in New York City: Times Square, Grand Central and Downtown. Midtown Comics always has the hottest publishers and trending topics available, including DC Comics, Marvel Comics, Image Comics, and more! The greatest characters of all time are here too, including Batman, Superman, Wonder Woman, Spider-Man, the Avengers, the Flash, Captain America, the X-Men, Supergirl, Harley Quinn, Green Lantern, Wolverine, Black Widow, Thor, Daredevil, Dr. Strange, Jessica Jones, Iron Fist, the Defenders, Captain Marvel, Ms. Marvel, the Punisher, Green Arrow, the Incredible Hulk, Iron Man, Hellboy, the Fantastic Four, the Walking Dead, iZombie, Luke Cage, Kingsman, Suicide Squad, and more! Midtown Comics is the go-to place for the best comic book subscription service to Marvel Comics, DC Comics, and all other fabulous publishers. DC Subscriptions, Marvel Subscriptions, and all subscriptions can be found online or at our NYC stores! 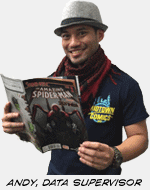 Shop online: Midtown Comics is committed to providing great service and prices, and making the shopping experience as much fun as reading and collecting. And remember, It's not just about the comics themselves. Midtown Comics offers a vast selection of comic book related action figures, statues, movies, books and so much more, all available online and in-store! 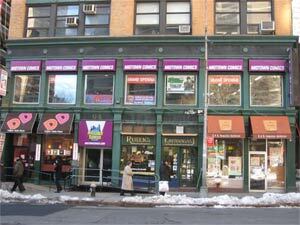 Creator Signings: Midtown's New York stores are home to many exciting creator signings. Our guest creators have included Brian Michael Bendis, Geoff Johns, Scott Snyder, Greg Capullo, Frank Miller, Alex Ross, Jim Lee, Kevin Smith, Donny Cates, Dan Slott, Garth Ennis, Brian K. Vaughan, Mark Waid, Gail Simone, J.G. Jones, Peter David, Greg Pak, Jeff Smith, Paul Dini, Greg Rucka, John Romita Jr. and Neal Adams to name a few. Even if you can't make it by, Midtown Comics has many signed books and exclusive/variant covers available online! 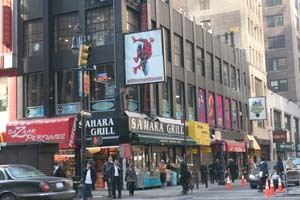 New York Comic Con: Midtown Comics is a retail sponsor of NYCC, and has been associated with the convention since its inception. The Midtown Comics NYCC mega-booth includes discounts on all books, plus contests, prizes, cosplay, signings, and more! Want to stay up to date with all things Midtown? Want access to exclusive deals and giveaways? Then follow us on Twitter, Facebook, Instagram, and Youtube!